Marc was diagnosed with cancer at 17 and consequently had his left leg amputated below the knee. Not knowing whether he had six months or 60 years left to live, he was determined to make the most of whatever time he did have. Moreover, Marc has done just that - becoming a member of Great Britain’s Paralympic Swimming Team, a multiple Gold Medallist, BBC commentator and author. Woods’ distinctive, open style demonstrates his passion for life, translating into a moving and motivating experience for audiences. Marc has presented his speech – Path to Gold – to companies all over the world. He works closely with his clients to ensure the emphasis of his speech compliments the issues that are currently being faced in the work place. The presentation follows him on his journey from 'taking personal responsibility' to 'working within a small team' through to 'enthusing the broader support team'. When Marc Woods opens your conference, attendees become focused and determined to get everything they can out of the meetings, training and networking. Not only will the audience refer to his words throughout the conference, but also the other speakers will use his incredible story to add weight and clarity to their own presentations, thereby increasing the take-home value for your delegates. When closing a conference Marc helps people focus on aiming to be exceptional themselves and on being valued members of their teams. 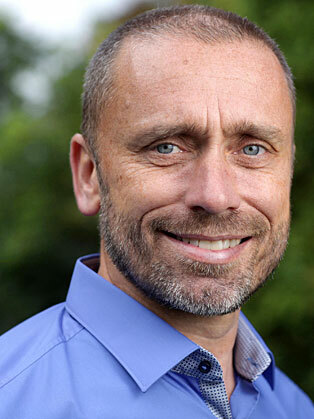 Weaving his inspirational story of coping with the unexpected, personal resilience, motivation and teamwork into the issues facing all organisations, Marc Woods’ life proves that focus and determination are a winning combination. Marc is based in the UK & US and divides his time between the two. He is passionate about delivering his message to businesses all over the world.